Between 26th March & 1st April 2018 ONLY, we have deals on popular Nestle products, including the brand new Smarties Orange to help you sweeten your profits. 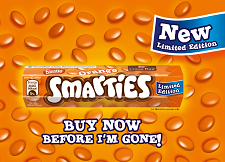 Fresh for springtime, Nestle will bring back the highly popular Smarties Orange, as they have found that customers love these after their initial launch last autumn. Therefore, if you want to entice your customers and give them something to talk about, you will definitely be taking advantage of this deal. What is more, we also have the brand new Azera canned cold coffees landed a few weeks ago allowing you to give your customers something they can drink with ice for a refreshing kick this summer! 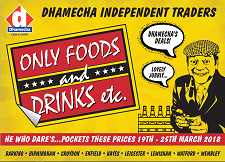 Become a savvy trader, with our ‘Only Foods & Drinks, etc.’ trade week special. Ask in your nearest depot and find out more about exclusive offers to treat your customers and pocket the prices between 19th-25th March 2018! 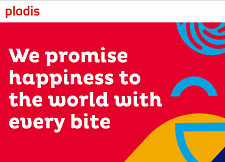 Exclusive deals, above, on McVities & Jacob’s biscuits, will allow you to provide the perfect pick-me-up with a cup of tea for your customers in this gloomy weather. Why do they love these brands? Read more by clicking below. McVities is an iconic brand in the UK and Europe. The popular biscuit brand has been crafting biscuits and cakes for over 180 years. What more do you need to entice your customers? Jacob’s also has a similar background with over 125 years of baking heritage. Jacob’s biscuits were first baked in 1850 by William Jacob in Waterford, Ireland. What’s more, Pladis is giving away thousands of wonderful travel-related prizes in the competition featured in this week's leaflet. All your customers need to do is buy a pack of their biscuits to take part. To find out more about it, click here and be sure to let your customers know, so they can participate.